Watch out when wheeling and dealing with this funny but crooked cheat! 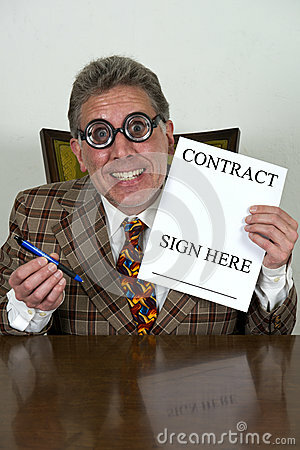 This used car salesman or cheat is out to take your money by signing a contract. Concept could be used for banking or a banker, signing contracts, lawyer, sales or salesman, even marketing! Dont forget to read the fine print too!